Let me echo the words of my friend (and TDWR in her own right) vocalist Andrea Wolper. 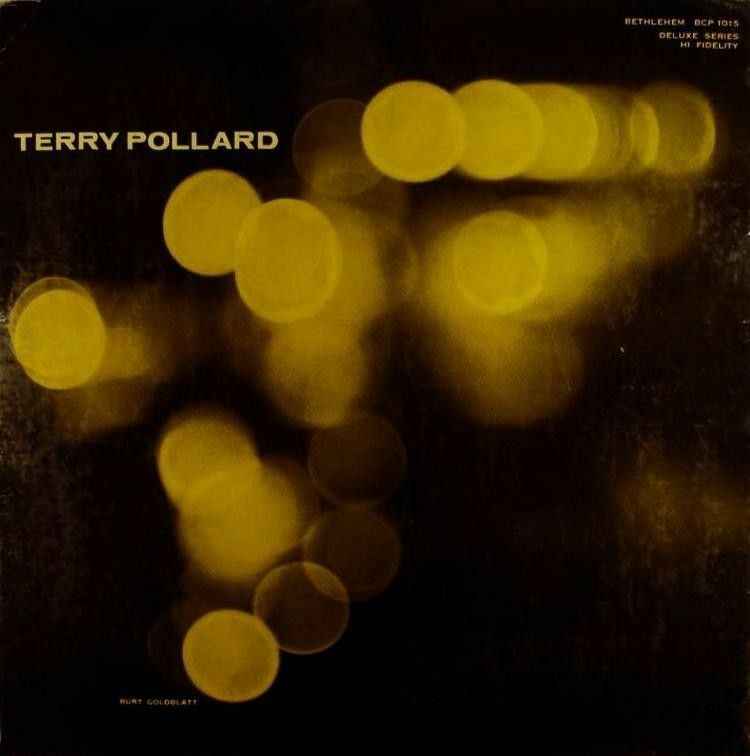 I cannot believe that I have missed Terry Pollard all these years. I wish that I could even say that I learned of Ms. Pollard through Andrea but I even missed her then. Sorry Andrea, I promise to read your blog regularly from now on! I first heard of this gifted pianist/vibraphonist a few weeks ago, when putting together the post on Mary Osborne; as Ms. Pollard was the pianist who “battled” Horace Silver on “Anything You Can Do…” from Cats vs. Chicks. A Google search on her name led me to the remarkable piece of footage below, from Steve Allen’s Tonight Show in 1956. At the time of the appearance, Ms. Pollard was at the point of her jazz career that brought her the most renown, as the pianist and 2nd vibist in Terry Gibbs quartet. She played and recorded with Gibbs from 1953 – 1957, when she returned home to her native Detroit to raise a family. Gibbs had “discovered” her (though I hate that phraseology) in 1952, when she was working with saxophonist Billy Mitchell at Detroit’s famed Baker’s Keyboard Lounge. Ms. Pollard recorded a number of albums with Gibbs; with her hard-driving swing moving Gibbs’ group decidedly out of the “MJQ” territory that many with similar instrumentation inhabited. During that fertile period, Terry Pollard also recorded her sole album as a leader, for Bethlehem Records, in 1955. Though Gibbs was not featured, there were impressive turns by guitarist Howard Roberts and on trumpet, Don Fagerquist, another name that is new to me, but definitely worth further research. I listen to her on this album and I’m floored by the creativity in her solos and the sheer joy in her sound. I shake my head repeatedly, as I wonder how the hell did we let all this talent go to waste! Others took notice at the time, for in 1956, Terry was a recipient of DownBeat’s New Artist Award. Ms. Pollard did not retire completely after leaving Gibbs. She was in the Motor City, after all, which in the ’50’s, housed perhaps the most jazz scene in the U.S., outside of NYC and New Orleans. She recorded with Yusef Lateef [Angel Eyes] and Dorothy Ashby (Soft Winds – I have got to get that album!) and she backed many a headliner passing through town, including George Benson, Earl Klugh and even Diana Ross and the Supremes. Terry Pollard died in 2009, at a nursing home in the Bronx, following a long illness. Like many of the artists in this series, she left us in the world of jazz with a lot of catching up to do. As this first part of the Unsung Women of Jazz series concludes, I’m again grateful for and humbled by the support that it has received from around the world. I only hope that we were able to pique your interest about some of these great ladies, who have been until now missed by the spotlight. Hear their music and wherever possible, buy it. Especially if the artist is still living. This entry was posted on November 5, 2011 at 7:51 pm and is filed under Unsung Women of Jazz. You can follow any responses to this entry through the RSS 2.0 feed. You can leave a response, or trackback from your own site. thanks for celebrating and educating!